How can I practice conservation? As an early-career professional and graduate student, this is the very question I ask myself, constantly. In such an interdisciplinary field, there are several ways someone can address issues and affect change in conservation, even if they don’t call themselves a conservationist. However, there’s no one-size-fits-all method. 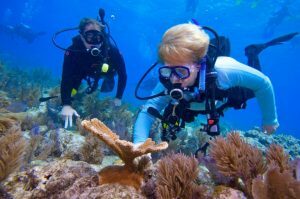 A marine ecologist will likely try to solve a problem differently than a lawyer, advocate, journalist and so forth. Therefore, I want to explain how I practice conservation, how I develop solutions, and how this has factored into my decision to come to grad school and apply my trade to our sea otter project. Jane Lubchenco – marine ecologist and environmental scientists – replanting coral. Photo Credit: Oregon State University. Like many others in conservation, I have a deep appreciation for the field of ecology. Yet, I also really enjoy being involved in policy and management issues. Not just how they’re decided upon, but what factors and variables go into those decisions, and ultimately how those choices impact the marine environment. But most importantly, I’m curious about how these two arenas – science and policy – intersect and complement each other. Yet again, there are an endless number of ways one can practice conservation at the science-policy interface. Think of this science-policy space as a spectrum or a continuum, if you will. For those who fall on one end of the spectrum, their work may be heavily dominated by pure science or research. While those who fall on the other end, conduct more policy-oriented work. And those in the middle do some combination of the two. Yet, what connects us all is the recognition of the value in science-based decision-making. Because a positive conservation result relies on both elements. 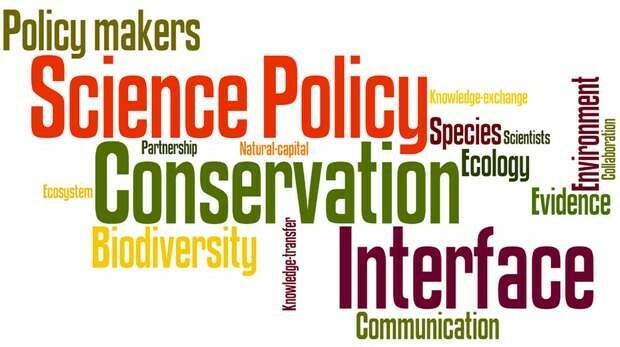 Infographic demonstrating the interface between conservation science and policy. Photo Credit: ZSL Institute of Zoology. I’m fascinated by this science- policy space and the role that science can play in informing the management and protection of at-risk marine species and ecosystems. 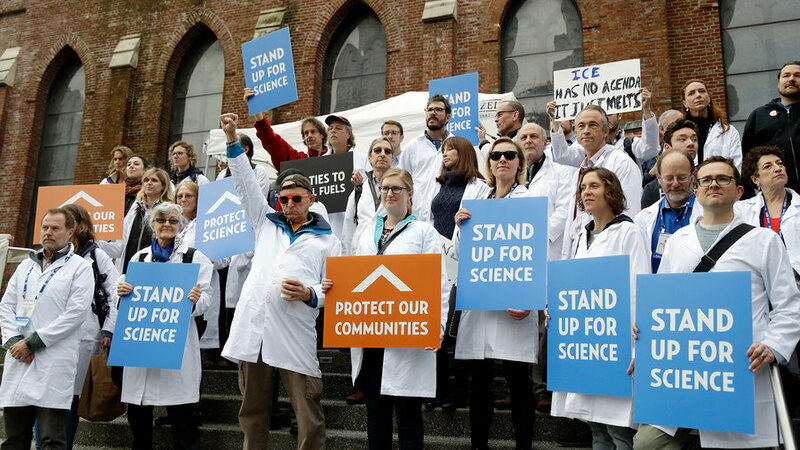 From my perspective, scientific evidence and the scientific community are essential resources to help society make better-informed decisions. However, we don’t always take advantage of those resources. On the policy end of the spectrum, there may be a lack of understanding of complex scientific concepts. Yet, on the other end, scientists may be inadvertently making their research inaccessible or they may not fully understand the data or knowledge needs of the decision-makers. Therefore, research that was meant to be useful, sometimes completely misses the mark, and therefore has minimal conservation impact. Recognizing this persistent problem, I practice conservation as a facilitator, where I identify gaps in knowledge and strategically develop science-based solutions aimed at filling those gaps and addressing specific policy or management issues. In my line of work, I’m dedicated to working within the scientific community to develop targeted research projects that are well placed and thought-out to enable a greater impact. While I associate myself with the science end of the spectrum, I also interact with decision-makers on the other end to better understand the various factors and variables considered in decisions. This requires me to have a deeper understanding of the process by which decision-makers formulate policies and management strategies, how science fits within those decision-making process, and any potential gaps in knowledge or data that need to be filled to facilitate responsible decisions. A commercial fishing vessel. Photo Credit: NOAA Fisheries. A simple example of this is the use of stock assessments in the management of commercially important fisheries. Catch limits may seem like simple policies, but we often do not think about the “science behind the scenes” and the multitude of data needed by managers to set those limits. 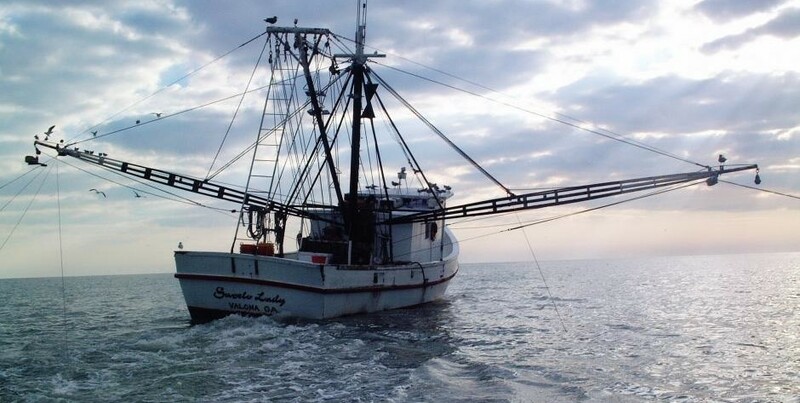 Managers must consider many variables to determine catch limits that will not result in depleted stocks. Without robust scientific data, many of these fisheries catch limits would be too high or too low. Science protest in Washington, DC. Photo Credit: AP Photo/Marcio Jose Sanchez. This may all sound like theoretical mumbo jumbo, but it is real, and I will apply this crossover between science and policy in my thesis. 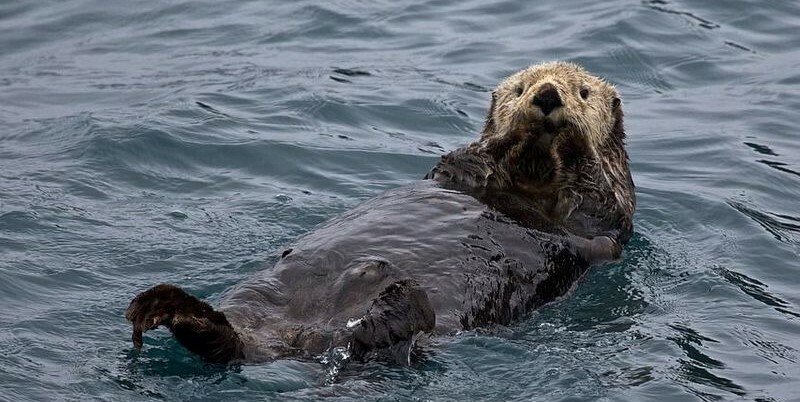 The potential reintroduction of sea otters to Oregon presents a multitude of challenges, but the challenge is exactly why I came to grad school in the first place! This project will allow me to take what I’ve learned and develop research questions specifically aimed at providing data and information that managers must consider in their deliberations of sea otter reintroduction. In this project I will be pushed to objectively assess and analyze – as a scientist – a pressing conservation topic from a variety of angles, gain advice from other experts, and develop and execute research that will influence policy decisions. This project provides the perfect opportunity for me to exercise my creativity, allow my curiosity to run rampant, and practice conservation in my own unique way. Everyone processes and solves problems differently. 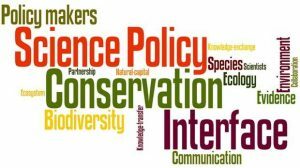 For those of us practicing conservation, we each tackle issues in our own way depending on where we fall within the science-to-policy spectrum. For me, I address issues as a scientist, with my techniques and strategies derived from a foundation in the political and management context. Next Next post: A Marine Mammal Odyssey, Eh!